In 1949 the author and financial journalist Alfred W. Jones referred to his investment fund as being "hedged" to describe how the fund managed risk exposure. To neutralize the effect of overall market movement, Jones balanced his portfolio by buying assets whose price he expected to increase, and selling short assets whose price he expected to decrease. This type of portfolio became known as a hedge fund and Jones was the first money manager to combine a hedged investment strategy using leverage and shared risk, with fees based on performance. A 1966 Fortune magazine article reported that Jones�?? fund had outperformed the best mutual funds despite his 20% performance fee. By 1968 there were almost 200 hedge funds, and the first fund of funds that utilized hedge funds was created in 1969 in Geneva. Today the term hedge fund is a generic term mainly used for unregistered pooled investment funds. As unregistered/unregulated investment vehicles, they are only open to particular types of investors specified by regulators. 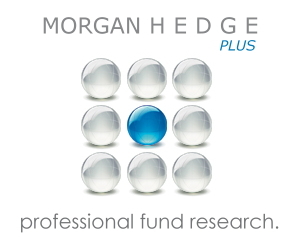 Hedge funds listed on Morgan Hedge are not necessarily "hedged funds" in the classical sense. They employ various strategies and can take both long and short positions, use arbitrage, buy and sell undervalued securities, trade options or bonds, trade commodities, buy and sell gold and other precious metals or invest in almost any opportunity in any market. The primary aim of most hedge funds is to deliver positive returns under all market conditions and outperform the relevant benchmark (produce alpha). History has shown that only few funds were able to produce uncorrelated returns over a longer period while most hedge funds are still highly correlated to the broader markets. How do we calculate our our statistics and performance measures? 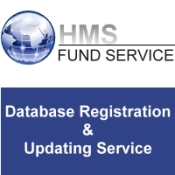 Need help searching for Funds or Investments? See our tips on how to search best. Contact us for more questions, suggestions, technical problems or anything else.